Select the relevant challan i.e. ITNS 280, ITNS 281, ITNS 282, ITNS 283, ITNS 284 or Form 26 QB demand payment (only for TDS on the sale of property) as applicable. Enter PAN / TAN (as applicable) and other mandatory challan details like accounting head under which payment is made, the address of the taxpayer and the bank through which payment is to be made etc. On submission of data entered, a confirmation screen will be displayed. 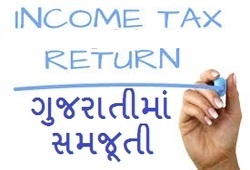 If PAN / TAN is valid as per the ITD PAN / TAN master, then the full name of the taxpayer as per the master will be displayed on the confirmation screen. On confirmation of the data so entered, the taxpayer will be directed to the net-banking site of the bank. The taxpayer has to login to the net-banking site with the user id/password provided by the bank for net-banking purpose and enters payment details at the bank site. On successful payment, a challan counterfoil will be displayed containing CIN, payment details and bank name through which e-payment has been made. This counterfoil is proof of payment being made.